Portable digital-to-analog converters (or DACs) can drastically boost your personal music enjoyment while on the go. 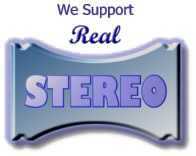 They provide superior sound quality which can be of vital importance to any musical enthusiast. However it’s important to select the right DAC for an optimal listening experience, whether it be a direct plug-in or even a bluetooth DAC. Your smartphone or tablet also needs to support compatible interfaces. For instance, an iPhone doesn’t come with standard digital SP/DIF outputs. Luckily some manufacturers have designed their products around the most popular mobile devices. I’ll list a series of products based on price and performance to help you select the best portable DAC. You might want to check out my comprehensive DAC Buying Guide for some of the latest recommendations. The FiiO E7 is heavily favored by musical connoisseurs. Music played through it has been described as ‘fuller’ and more ‘crisp’, adding to the overall listening experience. What’s more is that it’s small enough to fit well into pockets, making it ideal for either portable use, or direct use with any “portable audiophile music server” aka smartphone. And at its selling price, it’s a hard deal to beat! The Astell & Kern AK120 does everything you could possibly need it to. It provides great quality and is reasonably sized to be brought with any audiophile on the go. The deal breaker here, however, seems to be the price, which seems to average at roughly $1000. Some sources even mark it a few hundred higher. While still arguably expensive, the Apex Glacier is only have the price of Astell & Kern’s model. Yet despite this, the Apex Glacier brings clear audio quality in a sleek and portable form. No bigger than most smart phones, this portable DAC is certainly worthy of its ‘portable’ adjective. It’s a worthy addition to any audiophile’s collection of equipment at a reasonable price. It might be immediately noticable that the Arcam rPAC is somewhat thicker than previously discussed models. While the others often weren’t much thicker than your average smart-phone, the Arcam rPAC is roughly an inch in height – about as tall as a United States quarter. But this sturdier construction allows for a stronger and more durable model. While providing crisp and clear audio, this portable DAC remains portable without risking damage in its travels. When it comes to deciding on which portable DAC is best, there’s a few factors to take into consideration. The sound quality, the build, the interface, and of course, the price. All of the above products vary in their specialization of the aforementioned fields, but overall some simply outweigh the others in a performance to price ratio. Indeed, the FiiO E7 is a deal that is hard to beat. The sound quality is clear, and has no distortion with increased volumes, the build itself is compact and ideal for portability, and the overall price clocks in at less than one hundred USD! Out of the listed products above, you would get the most bang for your buck with FiiO’s E7 USB DAC and Portable Headphone Amplifier, which can be found on at Amazon.com now.